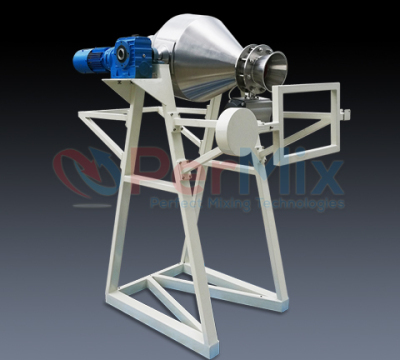 The PerMix PDC series Double Cone Mixers are unique mixers suitable for rapid and uniform mixing of free flowing dry powders, granules and crystals. 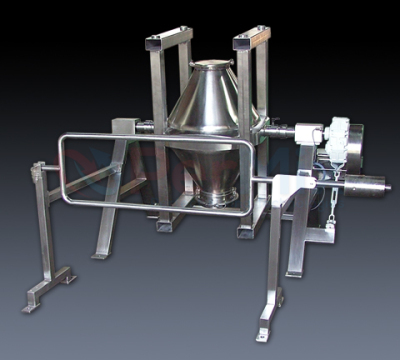 With the simplest structure among all mixers, they are featured for low investment, easy operation, discharging without residual, quick cleaning, and simple maintenance. 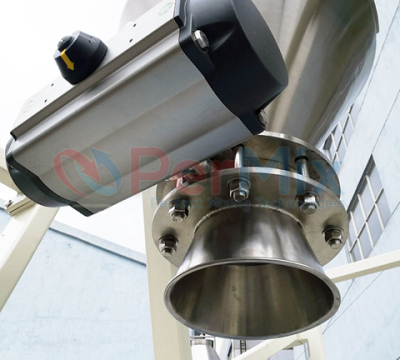 The PerMix PDC series Double Cone Mixer provides a gentle high-flowing mixing process for solids/solids in a proportion of up to 1:100.000 with the possibility of using an intensifier bar to enhance the mixture, and solids/liquids in powder or granulate form with different specific weights. Many options are available as variable speed, automatic stop in discharge position, air operated valve, touch screen operating panel, safety fence, etc. 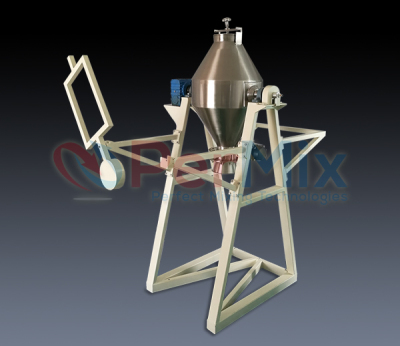 The PerMix PDC series Double Cone Mixers are used widely in pharmaceuticals, food, cosmetics, chemical industries.